Hello everyone! Rocket-in-Bottle is excited to announce its first Android App, FeedSquares. Getting a daily dose from your feeds is a must for many Android users. 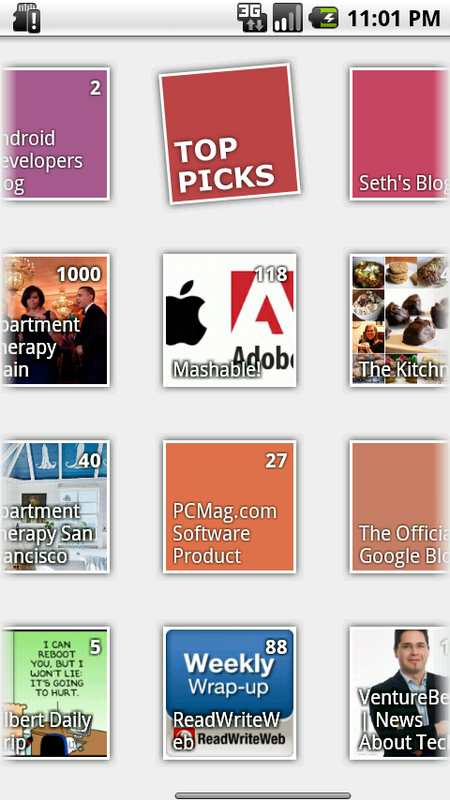 If you are looking for a slick and beautiful feed reader on Android, FeedSquares is the way to go! Check out our full tutorial here. Enjoy using FeedSquares? 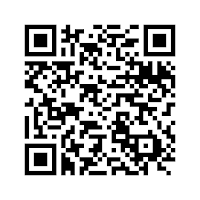 Just tap on "ABOUT US" square and help to spread FeedSquares! Interested to try FeedSquare? 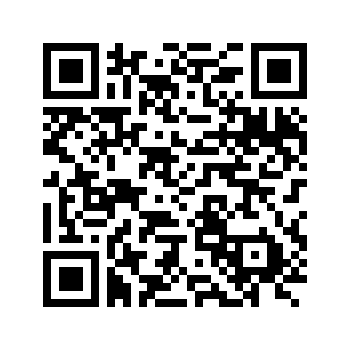 Grab this QR Code and install it now! Email us at support@rocketinbottle.com if you have comments or bug report for FeedSquares. Hope you enjoy using FeedSquares. Thanks! Read/Unread hiding: Must provide a filter to hide read articles. As it is, FeedSquares doesn't provide a way to even distinguish which feeds are read. 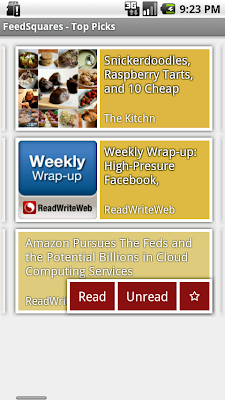 Usually, I work only in unread items. Whoops. Meant to be about the Chrome version. Also, I noticed the unread counts, but I still think it's not nearly obvious enough. Perhaps shading or totally hiding feeds with no unread. Also, add a button for toggling read/unread status. Thanks for the suggestion! Yes there will be more ways to filter your feeds and items in coming versions. At the moment this is the only way to reliably access your Google Reader account. Google is planning to provide a login mechanism that does not require passwords (OAuth), but it is still experimental and does not provide all functionalities we need. Don't worry, we NEVER send your login info and other personal data to any server except Google's. How can I exclude certain feeds from the main squares view. I have text, audio and video feeds in my reader account. I only want the text ones to come into FeedSquares. I don't see an option to exclude feeds in the options. You can put the text feeds in a separate Google Reader folder, then enable folder mode in FeedSquares. If you have already organized your feeds in a different way, you can still create a new folder and add your text feeds to them. They will continue to exist in your old folders. I use both the Chrome extension and the Android app. With the app, sometimes when I go to a feed or a story, the entire app seems to reset, reloads the feeds, and goes back to the main screen. Also, I think that if I go to a story and it does that, it marks the story as read. I cant get it on my Droid 2.2. It wont show up on the market either. Am I doing something wrong? Can you tell us the phone model and Android OS version you are running? For your description it may be caused by an out of memory error. It seems Android Market is having some problem with the search function, if you search for the exact word "FeedSquares" it should show up. We are talking to Android Market administrators about this. Thanks for the report! For some reason I cannot update my FeedSquares from the android market. It just says start downloading but noting is downloaded. I have tried to download several other apps, they work fine. I'm using HTC Desire and OS version is 2.2.
very nice and cool apps I have never seen anytime before it, keep it up guys, thanks. Hi, I love the visual style, but wondering if you are going to provide offline reading capability. 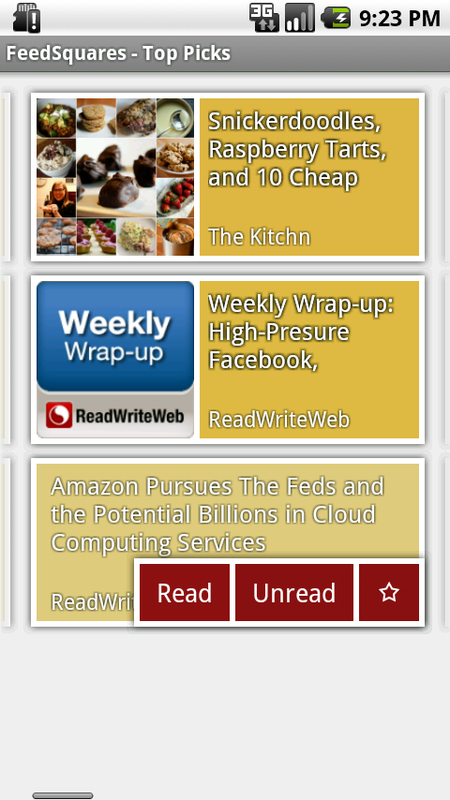 I am now using newsrob as my default reader on android, but trying to fiind a replacement. FeedSquare is possible to be the one... but not yet. It's hard to surf between articles and feed. Still a good app. 5 stars if you could improve the usage . Thanks for your help in talking about this. Great review! Also turn your attention that it needs to search for mobile software development companies if you need android applications development.